Living abroad always makes you appreciate your home country more. Having lived in Australia for the past three years, I realised how little I have seen of Scotland. So when I travelled back to Scotland with my partner (who had never been there before), I knew this was a good opportunity to do some travelling and see more of my beautiful country. Luckily I have two parents who have travelled extensively in Scotland so they were able to help us plan our trip. We decided we would camp on Isle of Skye for three nights and were lucky enough to do so during a (very) rare heatwave! 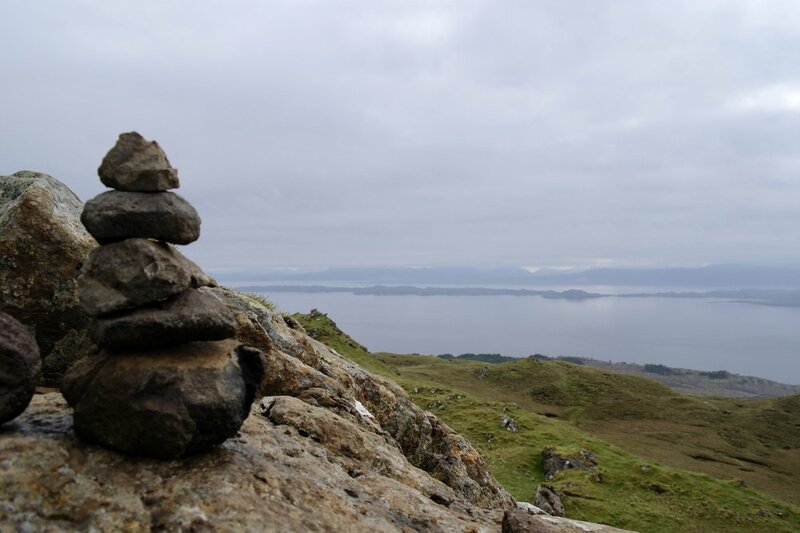 Here are my top things to do in Skye, along with pictures from our trip. The Fairy Pools are one of the most photographed (and instagrammed!) sights in Scotland. Once we got there I realised why. A short 1km walk from the car park, the incredibly clear, crystal blue pools will greet you, with a spectacular mountain range as the backdrop. We explored the pools for about an hour, checking out the range of waterfalls and taking far too many photographs. If you are feeling brave enough, you can even go for a dip! (don’t be fooled by the mediterranean-looking water - it is bloody freezing). Again, the Old Man of Storr is probably one of the most popular sights on Skye. As part of the Trotternish ridge the Storr (50m tall) was created by a massive ancient landside, leaving one of the most photographed landscapes in the world. We arrived early at the car park (which is basically cars lined up at the side of the road) and embarked on the short trek up to the Storr. Although it only took about an hour or so to get up, it is reasonably steep. The morning we were there was very misty, which created an eerie atmosphere. Another very popular tourist spot on Skye is Kilt Rock. The viewpoint here offers stunning views of the dramatic cliffs as they rise up from the ocean. Because we were visiting during a reasonably dry spell of weather, the waterfall which is often featured in photographs wasn’t much more than a trickle! There was a great food truck at the car park, The Black Sheep, which offered some snacks and tea and coffee. If you want to try Haggis (the infamous Scottish delicacy) - I’d recommend buying a haggis roll here! An excellent way to see the Red and Black Cullin mountain ranges is to drive to Elgol, a tiny village on the south west coast of Skye. 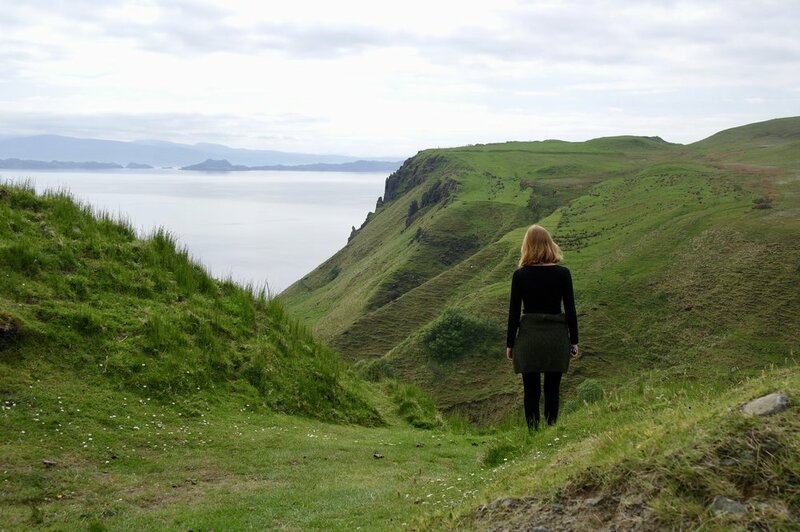 Famously featured in the Danny Macakill: The ridge youtube video, this stunning part of Scotland was a highlight of our trip. 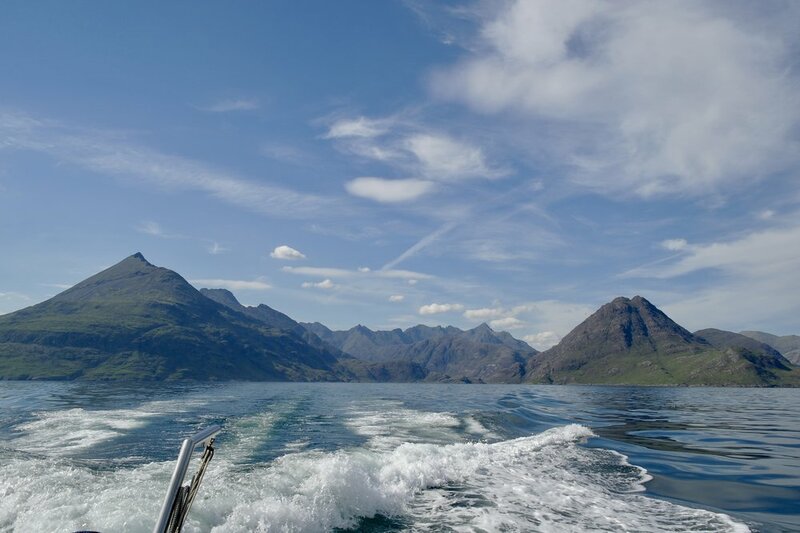 Boat trips leave Elgol throughout the summer months and cost about £26 per person (£20 for students). We took the three hour trip option, which meant we could explore Loch Coruisk for an hour before being picked up again. You are pretty much guaranteed to see Scottish seals from the boat, as there is a population of about 150 living in the area. One of our camping locations during our trip, Carbost is a lovely village on the south shore of Loch Harport, which is popular for it’s pub and whisky distillery. The views from Carbost are stunning and our evening pub meal at The Old Inn was a highlight. We were lucky enough to have a warm, clear blue sky evening so ate our dinner outside overlooking the loch. We managed to see all of the places mentioned above, plus a few more, over three days. The best time to visit Skye is in April/May, when you are more likely to get good weather, as the "summer" months in Scotland can be very wet! If you don't fancy camping (which you don't need to book), then be sure to book your BnB's or hotels well in advance, as they get booked up very quickly. Questions about travelling in Skye? Get in touch and I'll be happy to help!